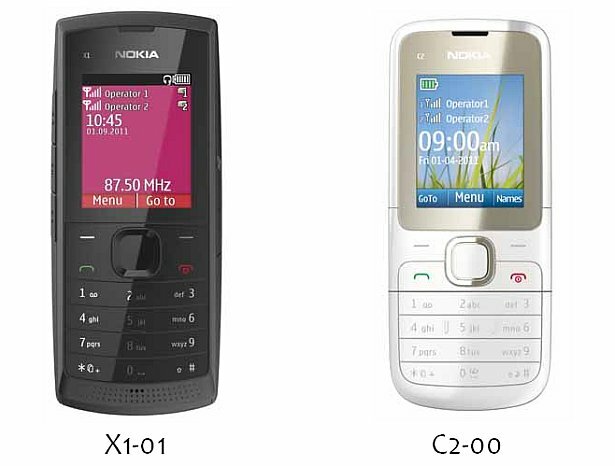 In India Branded Mobile Company NOKIA had announced two low-cost dual-Sim with Dual-Standby and dual-Band handsets before two weeks ago, and released them in India a little earlier than its end-of-June timeline. "Nokia said the two mobile phones offer smarter multiple SIM management and enhanced music capabilities, and the handsets have been designed keeping in mind the requirements of the Indian consumers. Nokia claimed the Easy Swap feature of the handset allows users to change SIM cards turning off the phone or removing the battery." 36 hours of continuous music playback. 19.2 days of standby time.